Supply chain Category management is a relatively new concept in Kenya and it has been deployed by a few multinational retail firms to ensure commonly used goods and services are not separately purchased by the various functional teams but are sourced through a single process able to leverage on its total spend in the market for the relevant category. The resultant benefits are, better value for money through aggregation of demand, standardizing of specification, enhanced supplier relationship, proper and cost effective procurement skill utilization in market watching and analysis. Many supermarkets are at crossroads, either to continue doing the transactional sourcing, offer strategic sourcing solution to the business or broaden their approach to include category management. 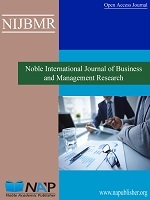 This study sought to determine the effect of category management practices on supply chain performance of supermarkets in Nairobi. The objectives of the study were to establish the category management practices used by Supermarkets in Nairobi, Kenya and to establish the relationship between category management practices and supply chain performance of supermarkets in Nairobi. The independent variable was category management practices as measured by Planogramming, product assortment, in store/shopper marketing, promotion and pricing. Supply chain performance was the dependent variable which the study sought to explain and it was measured by cost reduction, responsiveness, flexibility, service delivery and efficiency of asset utilization. Primary data was collected from supermarkets in Nairobi with the aid of questionnaires. The number of questionnaires that were administered was 80. A total of 77 questionnaires were properly filled and returned. This represented an overall successful response rate of 96.25%. The study employed a descriptive research design and a multiple linear regression model was used to analyze the relationship between the variables. Statistical package for social sciences version 21 was used for data analysis purposes. Employees are the major assets of any organization. Every organizations needs well trained employees to perform the activities effectively and efficiently. It is the continuous process of the organizations that helps to develop skills, knowledge, and abilities. Training and development leads the better performance of employees. The success of the organizations depends on employee performance. In this globalization era training is crucial for the competent and challenging business. It is the nerve that needs to help enhancing the quality of work life of employees and development the organization. Training and development is the crucial factors of enlightening the employee performance in most organizations. The purpose of the study is to find out the impact of training and development on employee performance. The study found out that employees are aware about training; employees are motivated through training; and training and development results into higher performance. The study suggested that training and development of all staff should be dynamically followed and made obligatory and the employer should give compulsory training programs for all employees in order to improve performance. The study decided that there is need for continuous training and development taking into deliberation the opposition, market dynamics, customer satisfaction, and net promoter score among others. Sign up to our newsletter and stay up to date and get notices about new journal developments and opportunities.